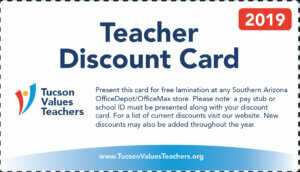 Tucson Values Teachers and OfficeMax/Office Depot presented the November Teacher Excellence Award on Wednesday, Nov. 28 to Kalaya Cook, a K-12 technology teacher at Arizona State Schools for the Deaf and Blind (ASDB) Tucson Campus. Cook, who has taught for six years, has spent the last three years at ASDB Tucson Campus. Her colleague, Matthew Frantz, nominated her for the award. “This year, she has taken on a new role as the technology teacher for all of our students. Kalaya is just simply amazing at planning lessons for all ages of students,” said Frantz. 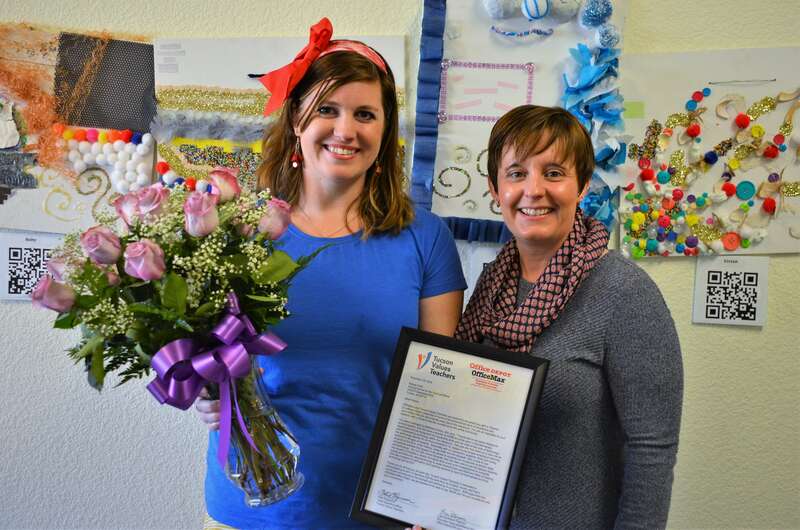 Cook, who received her Masters in Deaf Education from the University of Arizona, is also a Google Certified Educator and teacher leader on campus. She works with the school’s Information Technology department and other educators to incorporate the use of technology in classrooms.